A man with 176 convictions for repeated foul-mouthed outbursts risks spending the rest of his life in prison. 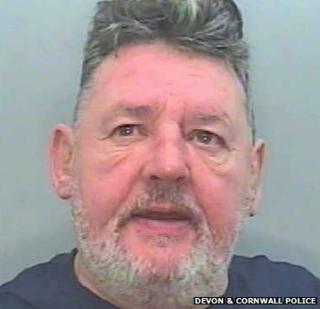 George Lancelot, 61, was jailed for 20 months on Thursday at Exeter Crown Court for breaching an anti-social behaviour order (ASBO) banning him from swearing and drinking in public. His latest offence was committed hours after he was released from prison. As Lancelot was led from the dock on Thursday he shouted: "I'd get less for burglary." He then swore at the court. Judge Phillip Wassall told Lancelot, of Higher Warberry Road, Torquay: "I am told there is unlikely to be any psychiatric disposition to help you. "Unless you deal with this you could spend the rest of your life in prison." Kevin Hopper, defending, said the court should order mental health treatment. "He (Lancelot) cannot comply with the ASBO because he is mentally ill," said Mr Hopper. "He faces a life term but I don't know what to suggest." Andrew Neilson, of the Howard League for Penal Reform, said: "We should not be filling our jails with people who have mental health needs, let alone someone who appears to pose no actual threat to the public."